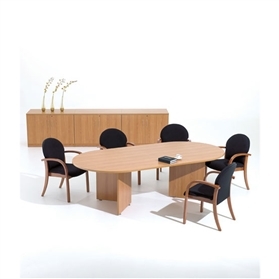 A choice of great value, hard wearing tables that spell quality, for those all important presentations, or for everyday meetings. A choice of top sizes in a choice of six hard wearing MFC finish provide the ideal table, whatever your requirements. 25mm thick tops are complemented by a 2mm lipping for durability, while the leg frame provides a solid 'grounding' for these versatile tables.